Fawaz Abdulaziz Alhokair on Monday reported a sharp drop in net profit for the fourth quarter of 2018, whereas for the full-year, profits were nearly stable from the previous year. 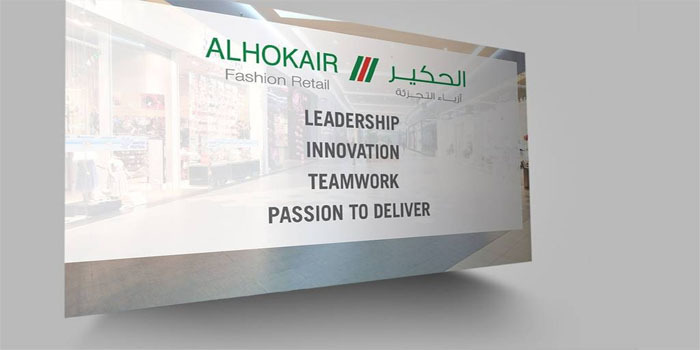 Alhokair’s net profits after zakat and taxes retreated by 45.47% year-on-year to SAR 26.5 million in Q4-18 from SAR 48.6 million. Revenues also fell 8.6% to SAR 1.233 billion in Q4-18 from SAR 1.349 billion in the same period of 2017. Quarter-on-quarter, Alhokair’s net profits surged 165% from SAR 10 million, Fawaz Abdulaziz Alhokair said in a filing to the Saudi Stock Exchange (Tadawul). The apparel retail company ascribed its Q4-18 profit fall to lower sales during the period. However, the profit decline was mitigated by a 7.2% decline in direct costs as well as a reduction in sales and marketing expenses by 13.4% from Q4-17. Moreover, general and administrative expenses also fell 5% in the last three months of 2018. Total profit amounted to SAR 276.6 million in the final quarter of 2018, down 13% year-on-year from SAR 318.7 million, while operating profits amounted to SAR 85.2 million down 17.44% from SAR 103.2 million in Q4-17. As for the full-year 2018, Fawaz Abdulaziz Alhokair logged SAR 285.7 million in net profit after zakat and tax, a marginal decline of 0.76% from SAR 287.9 million achieved in 2017, the firm said. Revenues fell 11.6% or by SAR 570 million to SAR 4.353 billion in 2018 from SAR 4.923 billion in the previous year, while total profit decreased 10.2% year-on-year to SAR 1.050 billion from SAR 1.169 billion in 2017, the statement indicated. On the other hand, operating profits grew 2.33% to SAR 465.1 million from SAR 454.5 million in 2017. Alhokair’s stock closed Monday down 0.83% to SAR 21.60.